Celebrating 150 Years Welcome to the Royal College of Organists' 150th Anniversary celebrations. In its various forms the organ has been with us for more than 2,000 years. This instrument, which Mozart so famously praised as �the King of instruments' has across many centuries influenced and shaped music, inspired the great composers, played an essential part in supporting worship in churches and adorned our concert halls. Today the organ sounds as brightly as ever through the rhythms of our lives, from christenings, weddings and funerals to our Christmas celebrations, great occasions of State and much more besides. 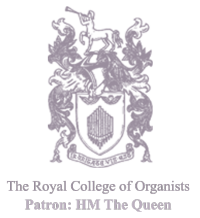 In 2014 the Royal College of Organists celebrates 150 years of working for the advancement of this fine tradition, and for the promotion of the best in organ playing and choral directing (read more here about the 150-year history of the College since it was founded in 1864). Today's RCO is a modern, dynamic charity which works through education and outreach, examinations, a specialist library and contributions to scholarship to encourage people to explore the repertoire and history of this fascinating and versatile musical instrument. We hope that we can share our 150th anniversary celebrations with everyone with an interest in organ and choral music, whether through playing the organ, directing or singing in a choir, or through simple enjoyment of the music. In the pages that follow, you can find out more about the 150-year history of the RCO; about the timetable of celebratory events that we are holding; and about the exciting 150 for 150 Recital Challenge, through which we hope to unite organists across the country (and internationally) in an unforgettable celebratory recital series of at least 150 concerts, featuring players aged from nine to 109 years, from those of international renown to those with a more local profile (or perhaps until now know only to themselves). Finally, you can also find out how you could further support the work of the College to help us ensure we can continue our unique and important portfolio of work long into the future.